It was not a simple event invitation. 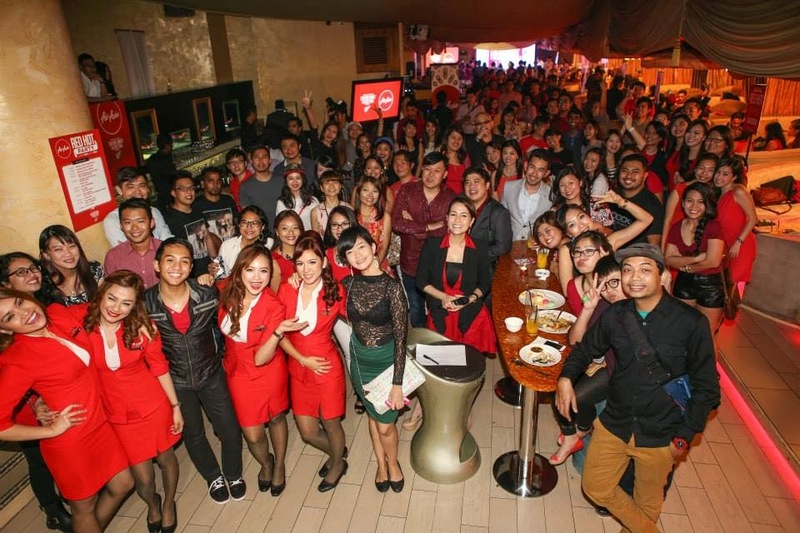 A Red Hot Party in Kuala Lumpur, Malaysia. I didn't have to think twice. 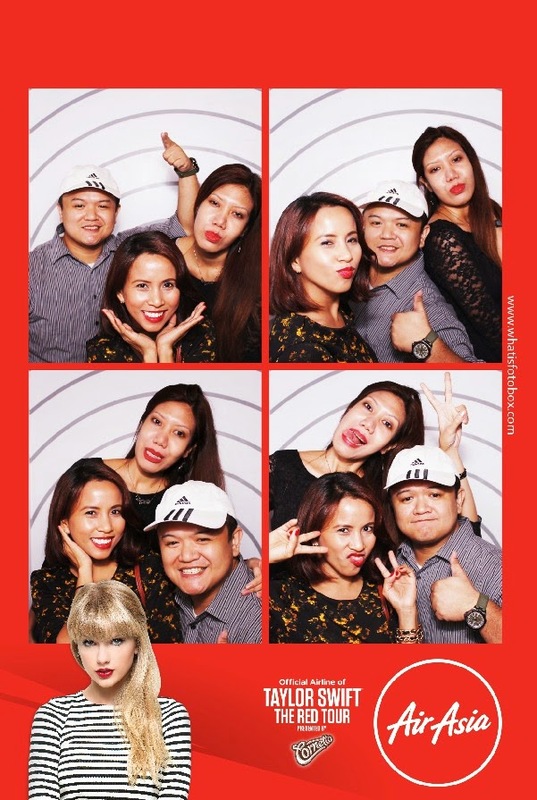 AirAsia flew select bloggers from Indonesia, Singapore and Philippines to Kuala Lumpur, Malaysia to witness the unveiling of the exclusive Taylor Swift Aircraft Livery for her Red Hot Concert in Asia Pacific. Find the #TeamPhilippines :) You cannot miss me! In the Sultan Lounge in Mandarin Oriental Hotel, Kuala Lumpur, we found ourselves partying with the bloggers and media friends from Asia Pacific. I came without much expectations, my friends and IG followers were asking if I would meet Taylor Swift, I didn't know much about the details of the event. I was just ready for the surprises that were waiting for us. Going to the venue was already an adventure (will do separate blog for that!). When we got to the underground bar, I saw red and fun party people! Blazing yellow lights and all red that night! The much-awaited event that night. The unveiling of the exclusive Taylor Swift Aircraft Livery! “Taylor Swift's tour will be kicking off in South East Asia soon, and we are looking forward to welcome Taylor Swift and her crew on board our special aircraft. 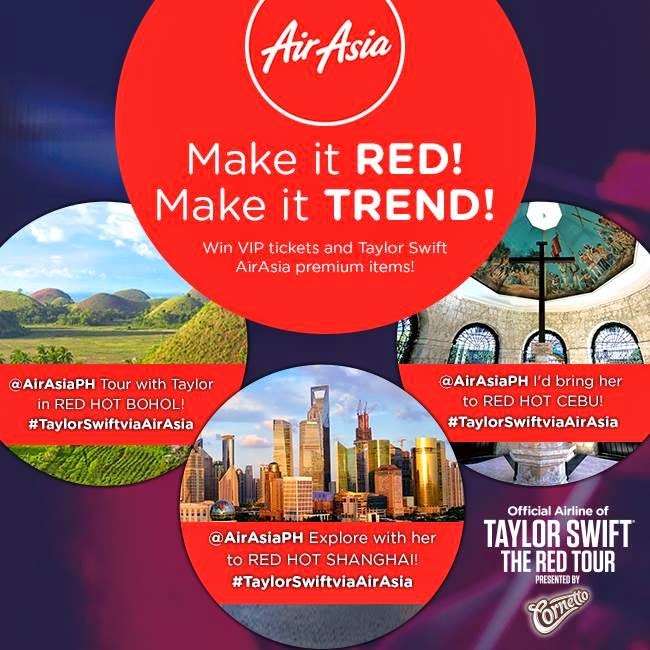 At AirAsia, we‟ve always taken branding to a different level and this opportunity to work with Taylor and her team marks yet another milestone for us as we continue to build the brand globally,” said Aireen Omar. Are we disappointed? Not at all! We sure had a lot of fun! 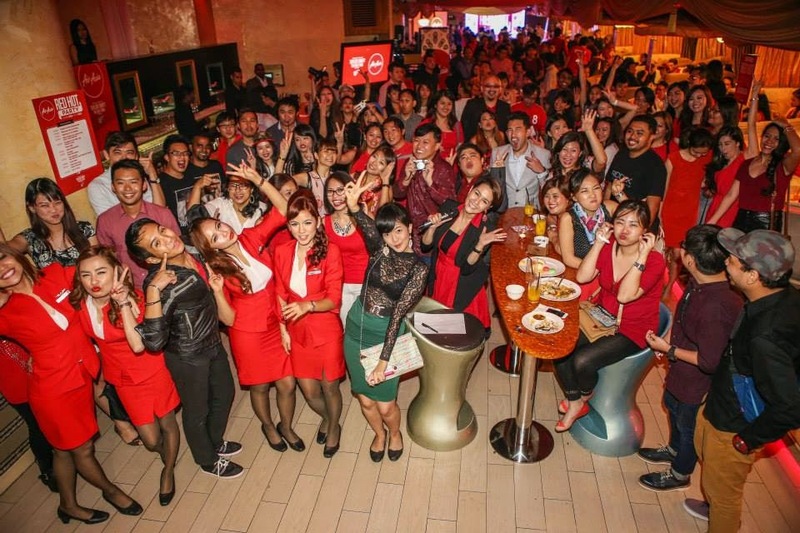 Flying to another country to party with people from Asia Pacific, and witness yet another historical milestone for AirAsia is something to be happy about! This kind of invitation doesn't come to anyone, any day. Besides, we still got a chance to see Taylor on her concert (keep on reading!). I might have missed Taylor Swift that night, but meeting and traveling with these awesome media practitioners made the trip more awesome! On our flight back to Manila, we saw the other awesome aircrafts from the AirAsia. Too cool and colorful! It didn't occur to me that airplanes could be this fashionable! 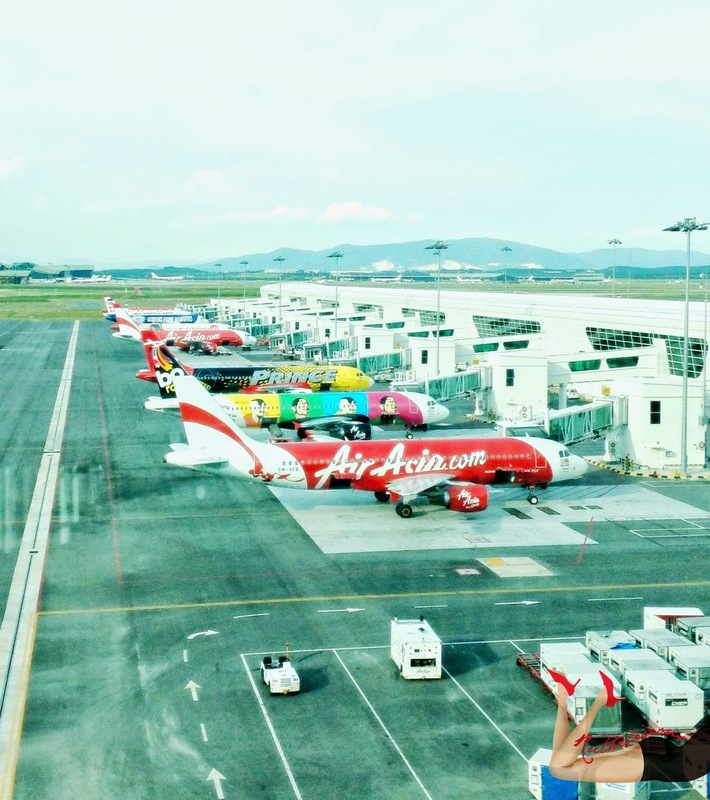 Thank you AirAsia for taking me once again to Malaysia! Special thanks to Ms Jen, Mitch and Mark for taking care of us during the trip! sending you all love and good luck!